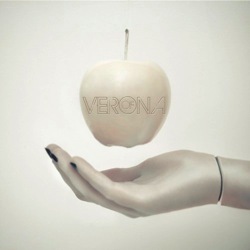 This week we have a Fiery Social Media Tool and an album with an floating apple on the cover. an Indie Rock band/futuristic/elctro-pop group from California. They’ve had a few songs in some cool shows, notably Teen Wolf! ‘Dark in My Imagination’ is a favorite of course, but I really enjoy the entire album. A social media management service that has recently become free for use for one of your Twitter accounts. 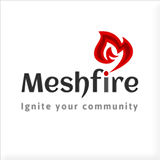 Meshfire uses an artificial intelligence named Ember (how cool is that?). Ember helps you set goals to increase your twitter followers, or to interact with more of your followers. It also goes through your followers and suggests ones you might want to block, such as Mike aka @OfficialPagan (for both Kelly and Mel! :D) So, use your own judgement. Kelly says you really need to take the time to check this out, especially is you are community building. Kelly: @MissDestructo: Amber is a co-founder of Meshfire! And she is hella cool. Tagged Meshfire, of Verona, Teen Wolf, twitter. Bookmark the permalink.